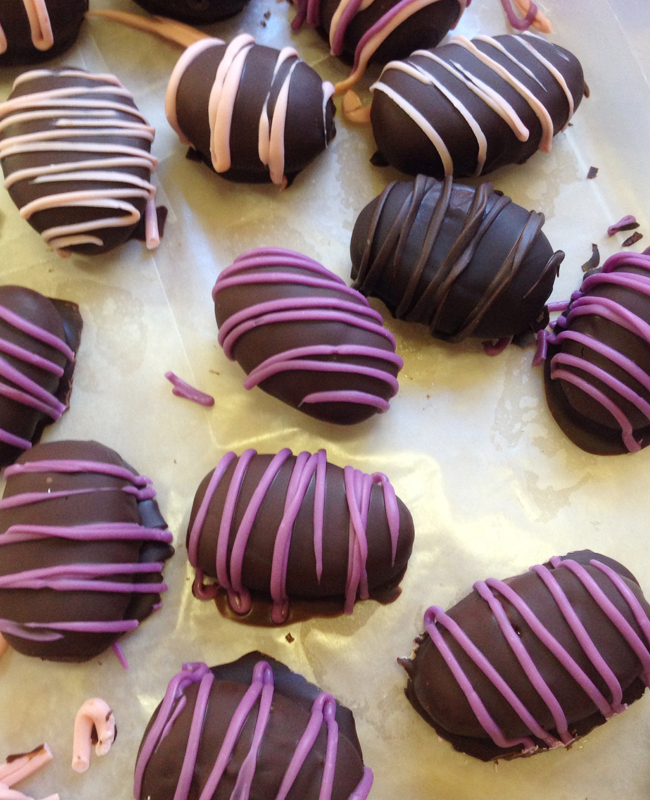 With Easter around the corner, why not surprise your friends and family with some home made peanut butter eggs? They are easy to assemble and make a fun project for all family members. Here’s a great recipe I found for these mouth watering treats. 1. Line a baking sheet with wax paper or parchment paper; set aside. 2. In a medium saucepan, combine the peanut butter, butter, and brown sugar over medium heat. Heat until completely melted and starting to bubble a little, stirring constantly. Remove from the heat. Add the powdered sugar a ¼ cup at a time, stirring until completely combined with the peanut butter mixture after each addition. Set aside and let cool to room temperature. 3. 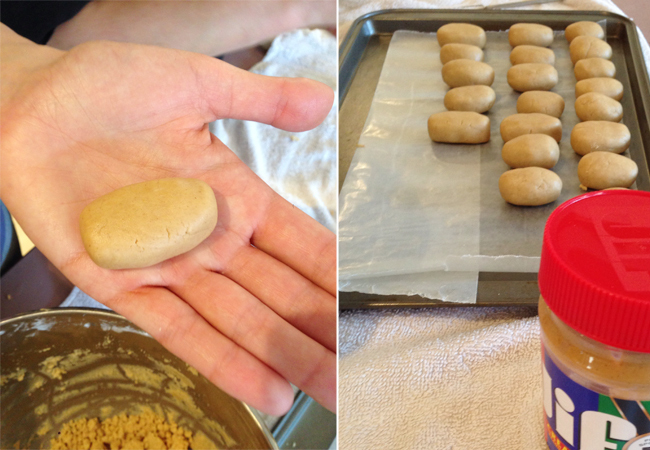 Using a medium cookie scoop or a heaping tablespoon, scoop out peanut butter mixture and shape into eggs. I found it easiest to roll the scoop into a ball, and then roll it into a short cylinder. 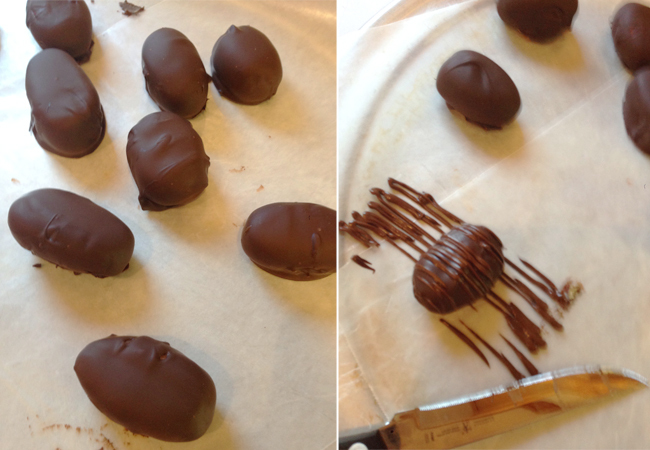 I placed it on the baking sheet, and then used my fingers to shape the ends into an egg-like oval. Refrigerate to allow the peanut butter eggs to set, about 30 minutes. 4. Once the peanut butter eggs are set, melt the chocolate chips and shortening together in the microwave on 50% power in 30-second increments, stirring after each, until completely melted. 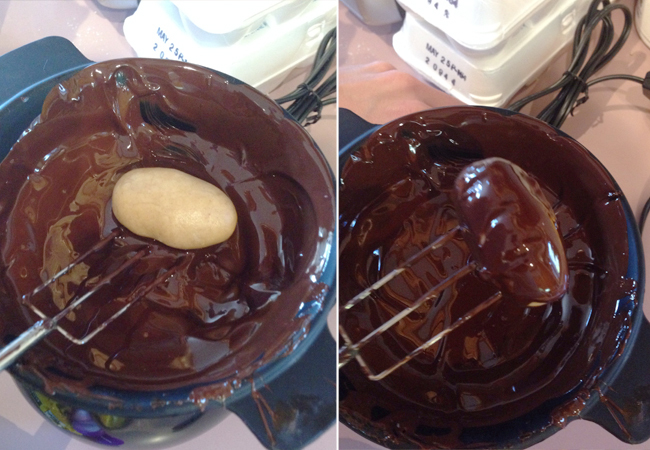 One at a time, dip a peanut butter egg into the chocolate and, using a fork, flip it over so it is completely covered. Remove it from the bowl, letting any excess chocolate drip off. Return it to the baking sheet, and repeat with all of the peanut butter eggs. Sprinkle with decorations, if desired. 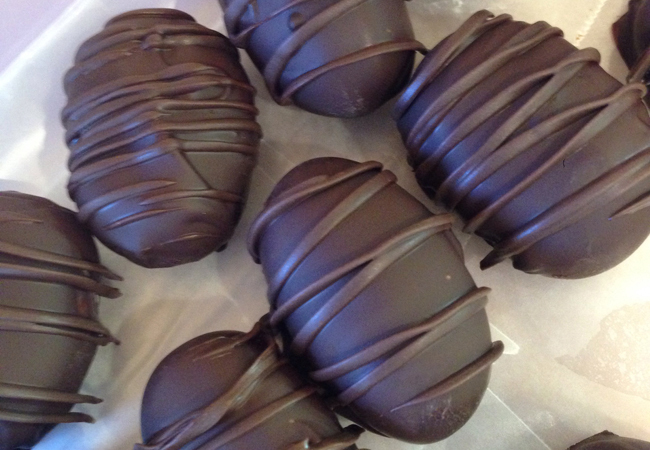 Return the chocolate-covered peanut butter eggs to the refrigerator to allow the chocolate to set, about 30 minutes. Store in the refrigerator in an airtight container until ready to serve.